This much sought after Master Class is now open to all! 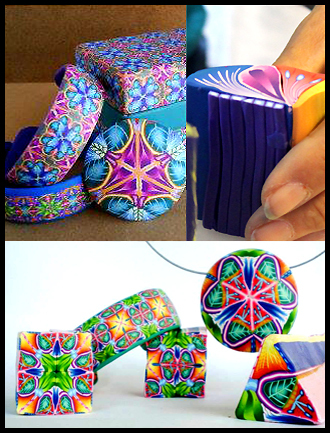 Carol will be teaching her Kaleidoscope Cane Veneer Class in Philadelphia September 20 & 21. (Saturday and Sunday.) The class will be held at Hillman House Apartments Second Floor from 10 AM to 5 PM. Please Click the links below to see the class flyer and the materials list. The cost of the class is $200 and requires membership in the Guild. The Guild annual dues of $40 must have been paid on or after April 1, 2014. You can pay yours now by clicking on the menu tab on our website marked: Pay Your Dues HERE! Or just click HERE. To see the PDF flyer for the class click HERE. For the Materials List for the class click HERE. To secure your spot in the class, register with PayPal by clicking HERE. We prefer PayPal, but if you cannot use it, please drop us a line at info@papcg.org. So click away and come join us in September. This is a great opportunity to learn about Carol’s unique color sense and the secrets of her amazing kaleidoscope canes.